Looking for an apartment can be hell. I was very lucky when I moved to the Bay Area last year: the first place I looked at was perfect, and I got it right away. But I remember going from apartment to apartment to apartment with my sister when I lived in New York. It was so stressful that, by the end of the day, I wanted to tear my hair out. Cozy is a company dedicated to transforming the landlord-tenant relationship and making the process of finding, and then paying for, an apartment, smoother and less stressful. Cozy has now raised $5 million Series A round, from from General Catalyst Partners and the Social+Capital Partnership, it was announced on Tuesday. The company had previously raised $1.5 million from Social+Capital, Kevin Rose, and angels Jason Calacanis and Gary Vaynerchuk, last June. This brings the company's total amount raised to $6.5 million. The money will go toward the company's marketing efforts, as well as building up the team, Gino Zahnd, co-founder and CEO of Cozy, told me in an interview. "We will be beginning our marketing efforts in earnest. So far we have completely relied on word of mouth," he said. "We are used in 500 U.S. cities, and proven that it is working in urban areas, as well as small towns, suburbs and college towns. But its time to grow the business." That also means building out the team, specifically in the engineering and design divisions. The company currently has 14 employees, and plans to bring that up to 20 by the end of this year. By the end of next year, if the company continues to grow quickly, it could have between 30 and 50 employees. The company also has plans to use the money to continue to develop new products. "By the end of this year, wile continuing to refine what we built, we have also been working with credit bureaus to build new product that puts power around credit reporting into renters hand," said Zahnd. "That will put an end to application fees and make it so that renters never have to give their social security number ever again." In addition the company is also working on a document storage and signing service. Founded in 2011, Cozy is an online service for landlords and tenants that seems to make it easier for landlords to collect rent, and easier for tenants to pay it. "The core of our mission is the landlord/tenant relationship," said Zahnd. "Frankly, the way it starts is you hand a stranger a packet of paper, which is everything they would need for identification theft." And, in a big city, like New York or Los Angeles, you can 10 times before you finally find a place to live. "We want to fundamentally change that relationship, and the ease at which both parties can get things done," he said. "That means increasing transparency, efficiency and privacy. We let renters know who has data, when they looked at it, and we allow them can revoke the data if wish." For the renters, Cozy makes it easier for them to both apply for an apartment, and to pay rent online, even if they have a roommate. Cozy allows roommates to pay individually and then it bundles them together so the landlord gets one payment. The landlord sends a payment invite, roommates allocate who is responsible for what and then pays online. "Everyone, on both sides, spend less time doing task every month," said Zahnd. The product also eventually saves landlords time, and money, by making it so that they no longer have to chase down rent checks. Cozy, which officially launched in June, is growing quickly. 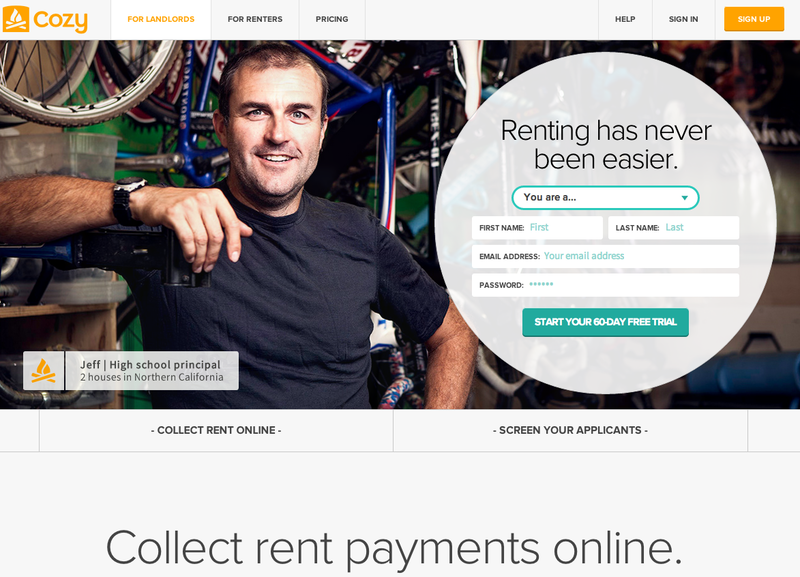 It now has 2,000 landlords, and 4,000 renters, on the site. And, just last week the company processed its first million dollars in payments. "There has been steep increase in amount processing per month," Zahnd said. And that is because Cozy is going after a big, untapped space. 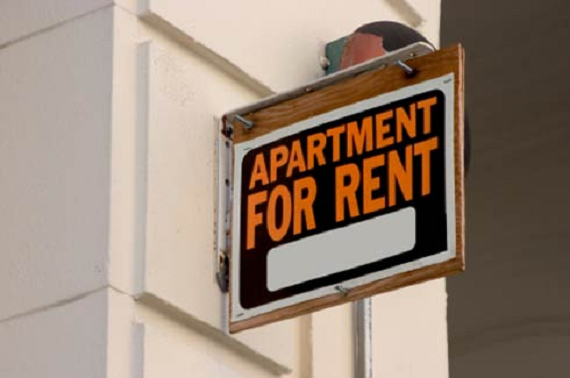 There are over 40 million rental units in the United States, and 75% of them are in building with 20 units or fewer. Other companies in space fighting over 25% that is a know quality, Zahnd told me, "but we are going after the tail." "This is a massive, massive market, and, so far, there are no direct competitors for us." Cozy makes renting easy for both landlords and renters. With world-class customer service and first-of-their-kind products for rent payments, applying/screening, and personal security, Cozy is the best way for small landlords and renters to get things done. Founded in March 2012 and based in San Francisco, Cozy's mission is to radically change the rental real estate experience with a focus on beautifully designed products, transparency, privacy, and total control of one's personal information. Cozy is backed by The Social+Capital Partnership, Google Ventures, and noted angel investors Tim Ferriss, Jason Calacanis, and Gary Vaynerchuck. Our founders are former lead designers and engineers from Flickr, Kosmix (now @Walmartlabs), Splunk, and Capital One. CEO and Co-founder of Cozy. Ex-Flickr, Splunk, Kosmix.